” Congress is the key facilitator for generational change. Now is the time for all levels of government to invest, to meet the needs of our people to develop the capacity to participate economically, socially and culturally. ” Ministerial representatives from federal, state and territory governments recommitted to uniting efforts for Indigenous affairs across Australia, with a focus on the Closing the Gap Refresh and continuing to improve engagement between Aboriginal and Torres Strait Islander peoples and governments. After almost a decade of failure to significantly improve outcomes for Indigenous Australians, the Federal Government is working on a major overhaul of the Closing the Gap strategy. 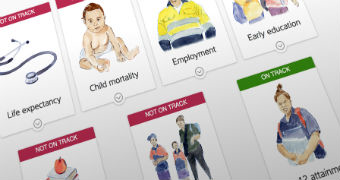 It has been almost 10 years since commonwealth and state Governments committed to targets to close the gap in Indigenous health, education and employment, but there has been limited progress in key areas. 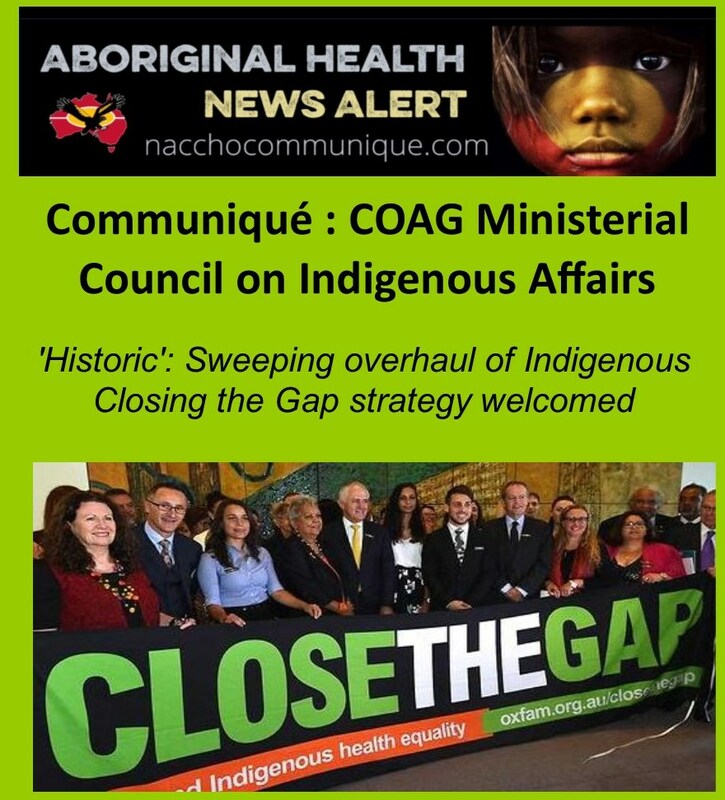 Prime Minister Malcolm Turnbull signalled a new approach was needed when he tabled the ninth annual Closing the Gap report to Parliament earlier this year, that showed some targets were stagnating and others were going backwards. Documents obtained by the ABC show the Federal Government is now seeking feedback on a drastically different approach, that will broaden the agenda to include more cultural and community targets. The new framework, which would guide $300 billion of investment over 10 years, would also consider if objectives like home ownership, community safety and overcoming trauma should become priorities. It is expected the final strategy will not be implemented until the middle of 2018, almost 18 months after Mr Turnbull indicated change was needed. Fairfax Media understands some ministers present pushed back against the timeframe proposed by the federal government, which would see a new strategy finalised by June next year. “You can’t put forward a new framework without including and consulting Aboriginal people. And with the current time frame the federal government is putting forward, it doesn’t look like there’s going to be enough time,” Victorian Aboriginal Affairs Minister Natalie Hutchins told Fairfax Media. Ahead of the meeting, Senator Scullion said there was “an opportunity to redouble our efforts in the areas where we need to do better and develop a truly national, collaborative approach to improving the lives of First Australians”. Any changes to Closing the Gap will affect the approximately $30 billion that is spent on Indigenous people annually by federal and state governments, according to the Productivity Commission. Relationships between National Congress of Australia’s First Peoples and State, Territory and Federal Governments took a positive turn today. For the first time in 8 years Indigenous Affairs was the focus of a COAG Ministerial Council meeting in Canberra. This meeting was initiated by Minister for Indigenous Affairs Nigel Scullion and welcomed by National Congress and all who attended. Congress Co-chairs Jackie Huggins and Rod Little heard directly from all State and Territory Ministers and Ministerial representatives in relation to their priorities for Indigenous affairs and where National Congress can play a vital role in delivering improvements for Indigenous people in their respective jurisdictions. National Congress is ready and willing to deepen the relationships with all levels of government. By working in close partnership with all States and Territories, National Congress aims to realise their respective Indigenous Affairs goals under a single agreement framework. Today’s first meeting of the new COAG Ministerial Council on Indigenous Affairs brought together ministers from all Australian governments in Canberra to re-energise national efforts on Indigenous policy. The Council was welcomed to Ngunnawal and Ngambri country by Tina Brown of the Ngunnawal peoples. Ministerial representatives from federal, state and territory governments recommitted to uniting efforts for Indigenous affairs across Australia, with a focus on the Closing the Gap Refresh and continuing to improve engagement between Aboriginal and Torres Strait Islander peoples and governments. The Council welcomed the Co-Chairs of the National Congress of Australia’s First Peoples, Ms Jackie Huggins and Mr Rod Little, who spoke about the need for Commonwealth, State and Territory governments to work in partnership with Aboriginal and Torres Strait Islander peoples and how governments can better engage with Indigenous advisory and representative bodies. Council members discussed priorities for Indigenous affairs, noting the importance of the process to refresh Closing the gap. Members discussed the importance of listening to, and working with Aboriginal and Torres Strait Islander peoples, and noted there are multiple models for achieving this around the Federation, including through work underway in some jurisdictions toward local decision making and treaties. Council members agreed the importance of moving to a strength-based approach to Closing the Gap that celebrates Indigenous achievement, as well as addressing persistent disadvantage. The Council recommitted to working in partnership with Aboriginal and Torres Strait Islander peoples on the issues that affect them, creating economic and social opportunities, noting that community support and a shared sense of ownership are essential for delivering meaningful, practical change. All jurisdictions highlighted their commitment to working with Aboriginal and Torres Strait Islander people to refresh the agenda for the next ten years of Indigenous Affairs in Australia.